According to the report issued by Sharjah Economic Development Department “SEDD”, the industrial production of Sharjah reached 41 billion dirhams last year. 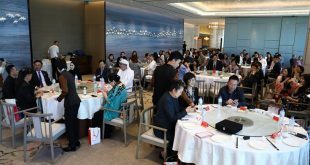 Therefore, the Department attained great achievements and results in the area of industrial licenses indicator through 2018 whereas the number of issued industrial licenses grew by 14% in 2018 compared to 2017 with 174 licenses issued, and 1890 ones renewed, achieving a total of 2064 licenses. Accordingly, the contribution of manufacturing industries to GDP reached 15.7 billion dirhams, representing 17% of GDP, while the sector witnessed new industrial growth in different parts of the emirate. 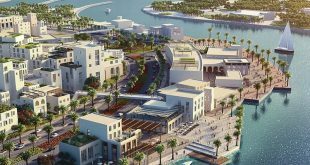 Thus, the index grew in the city of Khor Fakkan and Kalba by 200%, while the volume of industrial growth in Al Dhaid reached 46%. His Excellency Sultan Bin Abdullah Al Suwaidi, SEDD Chairman, stressed that the industrial sector is one of the most important components of the economy in the Emirate of Sharjah. The sector continues to grow steadily. Also, it help to introduces modern technology, which provides the sector with competitive factors with the global industrial sectors. He added that the Department was keen to develop a map of industrial investment in the emirate in cooperation with the concerned government agencies seeking to attract more investments to the emirate. He stressed the absolute commitment of the Department to adopt best practices that will create a competitive environment to attract and attract investments to Sharjah. Such thing helps in moving towards sustainable economic growth and building a productive economy in accordance with the vision of His Highness Sheikh Dr. Sultan bin Mohamed Al Qasimi, Supreme Council Member and Ruler of Sharjah, to develop the industrial environment in the emirate. Likely, Al Suwaidi pointed out that the industrial growth in the emirate is in line with the economic diversification process in the country, where small and medium enterprises play a very important part of the diversity system, which is the largest of the global economies. 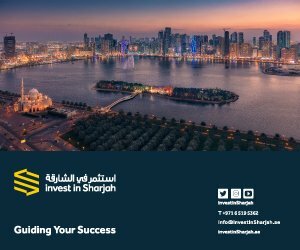 In addition, the emirate of Sharjah provides a safe and stable environment for business, encouraging many foreign investors to work which encourages many foreign investors to work in the emirate, and opening branches to launch its business in the region. The Emirate is keen to establish a clear vision of sustainability as the basis for all new development projects in the Emirate of Sharjah. From her side, Mariam Naser Al Suwaidi, Deputy Director of Industrial Affairs in SEDD, said that Sharjah is an ideal investment environment, especially in the industrial sector, as it provides investors with facilities and quality services. The emirate is also one of the largest industrial areas in UAE. In addition, SEDD pays great attention to adopt a clear strategy for the development of industrial investment in the emirate, where work on the development of the economy of the emirate is one of the main functions of the Department, thus contributing to enhance the position of the emirate on the economic map to achieve sustainable economic development. Furthermore, she clarified that the Industrial Affairs achieved many results in 2018 as it continued field visits, monthly communication, and meetings with investors in order to develop and support the industrial sector within the Emirate of Sharjah. The Department also contacted 1123 of the Department’s customers and conducted 218 field visits to discuss the challenges and difficulties encountered in the industrial sector and on how to provide facilities for new companies to open bank accounts. Moreover, the Department held a number of meetings with a number of banks and banks operating in the country to discuss ways to provide the best services to investors and employees in the industrial sector in Sharjah for credit and logistic support. 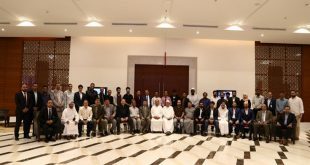 Likewise, it held number of annual meetings with the Ministry of Energy and Industry, as well as the business platform to understand the mechanism of obtaining the industrial license and accelerate the work on this platform during the annual meetings of the Government of UAE in 2018. Moreover, she explained that Industrial Affairs Department participated in many conferences exhibitions and forums, in addition to the participants in the external forums and official delegations and workshops in 2018. Also, it signed and activated number of agreements, launched a number of initiatives to support the industrial sector in Sharjah, and strengthened its strategy to support the industry and develop the domestic export sector by working with industrial companies in various sectors and harnessing all support services required to achieve growth that operates in global markets.